The Experience Hunters at Golden Moments bring you a Unique gift idea for the car fanatic in your life. Participants will get to have a driving session in an Aston Martin V8 Vantage, as well as a session in a Subaru Impreza STi. 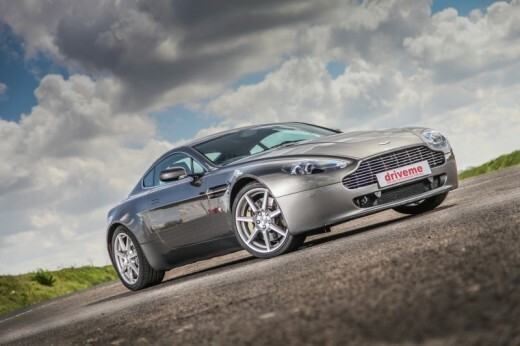 Aston Martin Driving Experience in Stafford Experience it today! 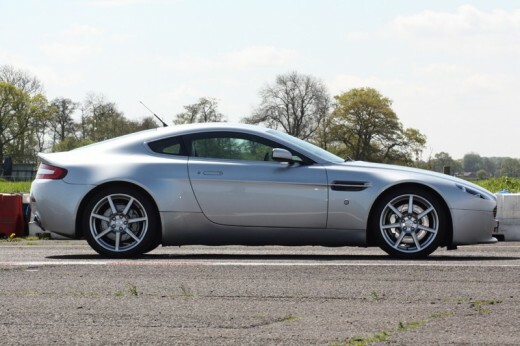 Capable of almost 200mph, the Aston Martin V8 Vantage is an amazing car to drive. The luxury, looks and driveability of the car have to be experienced to be believed, which is why the Experience Hunters at Golden Moments are offering you this awesome experience. 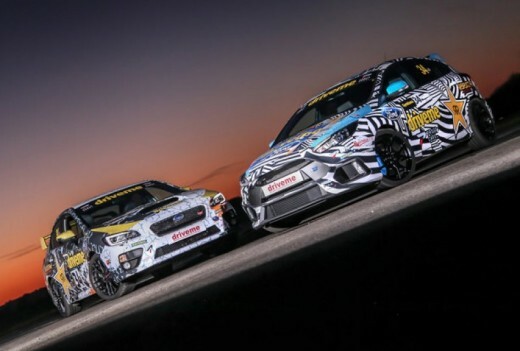 On top of this, you get to drive a Subaru Impreza STi, one of the world's most successful rally car - you'll soon realise why! Maximum height 6'6'' and maximum weight 18 and a half stone. All participants must hold a clean manual driving licence and may be required to show it on the day. Once a booking is made it can not be changed. A cancellation policy which covers for breakdown on route to the venue, serious illness to the driver, death within the immediate family can be taken out by the customer for £20 when booking. Documentation will need to be provided when using the cancellation policy. A damage waiver can be purchased on the day of the driving experience and costs £20. By paying the fee you will not be liable for the first £1000 excess as a result of damage to any of the cars. Premium time slots are usually available between 11am-3pm for a £10 fee. Driving may be cancelled or curtailed in extreme weather conditions (e.g. ice or heavy rain) which would make driving at speed dangerous. If this is the case, your experience can be rebooked. If in doubt, please call the venue before departing. Please allow approximately 1.5 hours at the venue for the Aston Martin & Rally Subaru Driving Experience. You should arrive in advance to your experience. Spectators are welcome to join you and will receive a free 4x4 Off-Road passenger ride. Extra drives and passenger rides are available to purchase on the day, subject to availability. Wear trousers, a long-sleeved shirt and flat-soled shoes. Any special equipment will be provided to you are advised to dress for the weather on the day. You can enjoy the Aston Martin and Rally Experience in Staffor on selected weekends and weekdays throughout the year. Upon booking, you will be asked to provide three preferred dates. 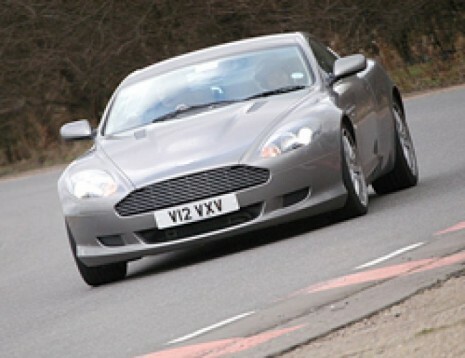 You can enjoy the Aston Martin and Rally Experience in Stafford on selected weekends and weekdays throughout the year. Please call our customer service for further information. The Aston Martin V8 Vantage was hailed at its 1977 introduction as "Britain's First Supercar" for its 170 mph (274 km/h) top speed. Its engine was shared with the Lagonda, but it used high-performance camshafts, increased compression ratio, larger inlet valves and bigger carburettors mounted on new manifolds for increased output. Straight-line performance was the best of the day, with acceleration from 0–60 mph (0–100 km/h) in 5.3 seconds, one-tenth of a second quicker than the Ferrari Daytona. Please be advised that there is a height and weight restriction in place. The maximum height to participate in the thrilling Aston Martin vs. Rally Driving Session is 6'6'' and the maximum weight is 18 and a half stone. All participants must hold a clean manual driving licence and may be required to show it on the day. 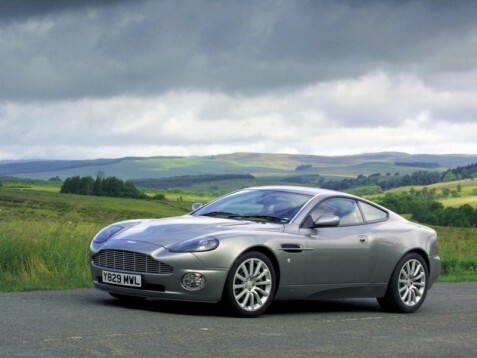 Do you need any help with this gift idea, Aston Martin vs. Rally Experience in Stafford (UK)?